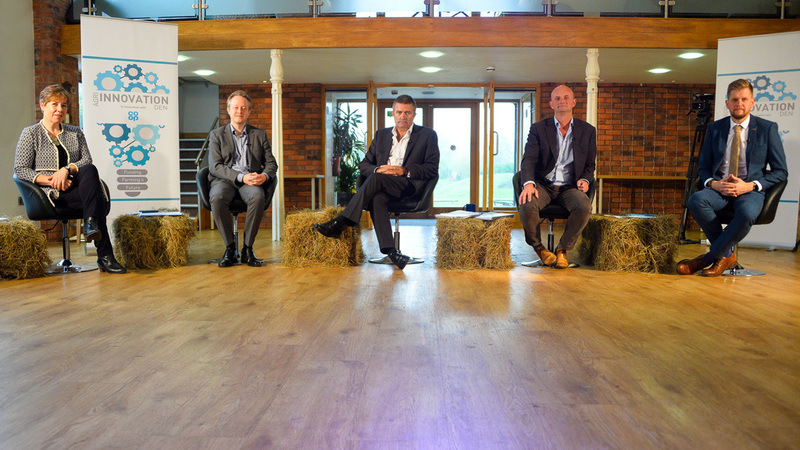 Last week, seven finalists in the Agri-Innovation Den competition went before judges to pitch their ideas and innovations, making their play for a share of the £20 million investment pot up for grabs. He said there were a couple of pitches on the day which really stood out for him, namely Hummingbird Technologies and Agricision. Over the coming months, judges will have follow-up meetings with finalists, before announcing their decisions. Adam Keene’s ambition is to make the highest impact precision technologies available and desirable to a wider range of farming businesses through his company Agricision. The business launched its onTrak GPS at this year’s Lamma, where it achieved a certificate of merit in the Lamma Innovation Awards. Agronomex is a web marketplace linking fruit and vegetable growers and suppliers with food professionals to allow direct trade of surplus produce. A third generation blueberry farmer, David Trehane said it was his disappointment with what the tech industry had to offer the soft fruit industry which led to him designing a new cloud-based software system for fresh produce growers. Version one is now launching, enabling growers to manage their data and their business from planting to dispatch. He said the Agri-Innovation Den was nerve-wracking, but a good experience overall. Born and bred on a Northumbrian farm, Dan Robinson has developed Farm-r, an online marketplace allowing farm businesses to rent out under-utilised machinery to farmers who need to use it. This business uses machine learning and computer vision technique to produce insights on crop health, providing farmers with field maps they can act upon. Speaking after he pitched his business to the panel, William Wells said: “It was great, some good questions. It was a pretty robust hour-long session. Daniel Suggitt and his brother Steve, a large-scale agricultural contractor from Norwich, have launched PlantGrow, which uses a by-product from the AD plants which are part of their business. Specifically for horticultural use and gardeners, it is available in a bottled form, plus a solid soil conditioner. Ubiqutek develops technology and products to kill weeds using electricity, reducing chemical herbicide use. Called Rootwave, the company’s recently launched professional hand-weeder for spot-weeding and tackling invasive species won a 2017 Lamma Innovation Award.